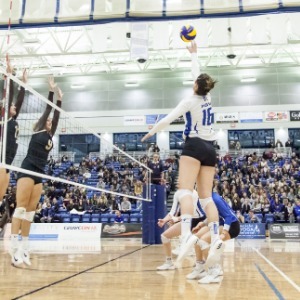 UBC Okanagan Heat compete at the highest levels of amateur competition in Canada in volleyball, basketball and soccer. These teams are obliged by their respective university leagues to webcast all home games. Streamed live through CanadaWestTV, our webcasts are the online face of our teams and institution. You can help us to pursue excellence in our webcasting, just as we do on the field of play. From wireless headsets to media backdrops and upgraded equipment with the latest technology, your donation will help provide an enhanced and more professional experience to the student volunteers and staff that are part of our broadcast team.